1. Heat the olive in a large non-stick skillet or medium sized pot on a medium heat. Add the garlic and onions and saute for 5 minutes, stirring occasionally until soft and translucent. 2. Add the aubergines and red peppers and cook for a further 5 minutes. 3. Add the the tomato paste, chopped tomatoes and stock, bring to the boil. 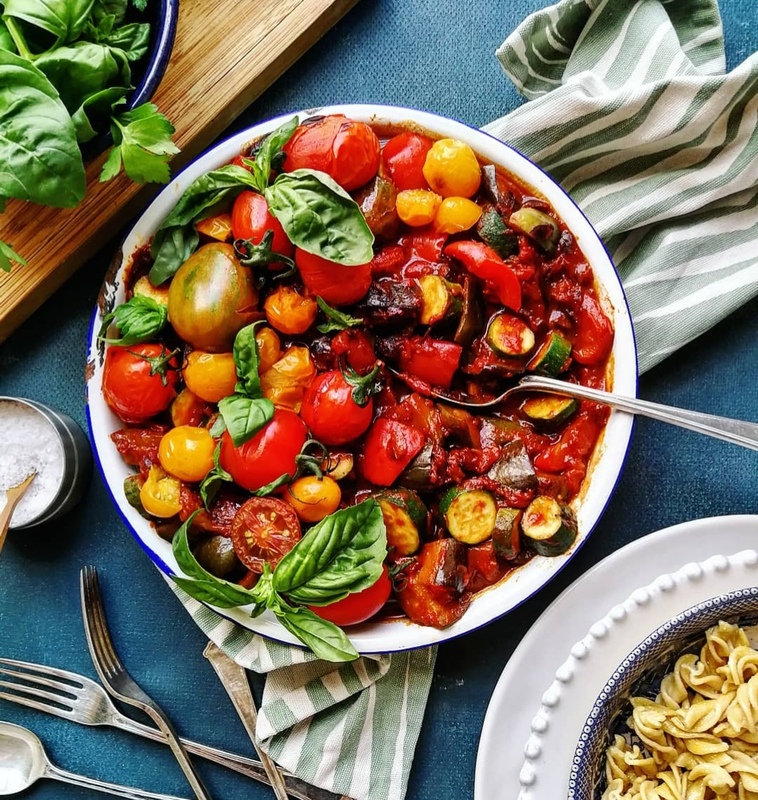 Once boiling, reduce the heat and allow the ratatouille to simmer gently for 15 minutes, with the lid off so that it reduces and begins to thicken. 4. Add the baby marrow, stir in and leave to simmer for a further 10 minutes, stirring occasionally (I add them now rather than earlier so that they don’t get overcooked and go khaki coloured). 5. Finally add the fresh herbs and season with salt and pepper. 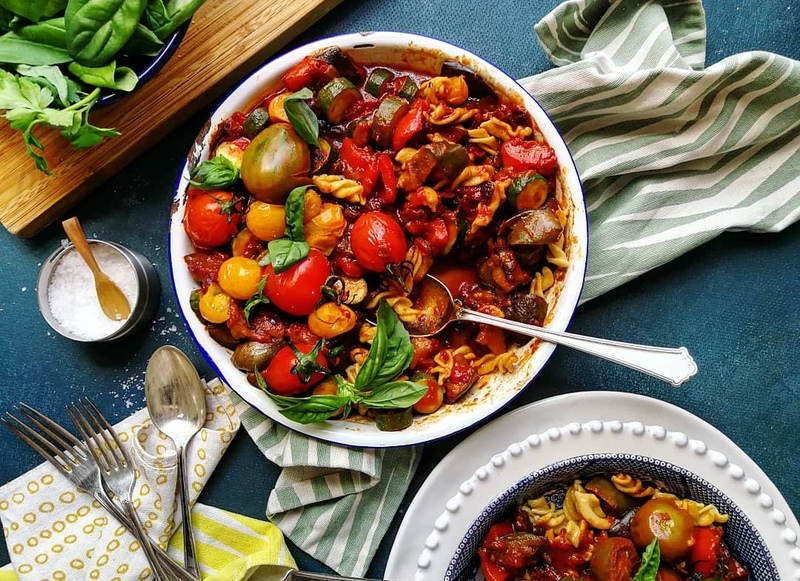 Then serve with the pasta of your choice (which can be mixed into the ratatouille or served separately) or enjoy on its own for an easy low-carb dinner.